Got a super soaker? 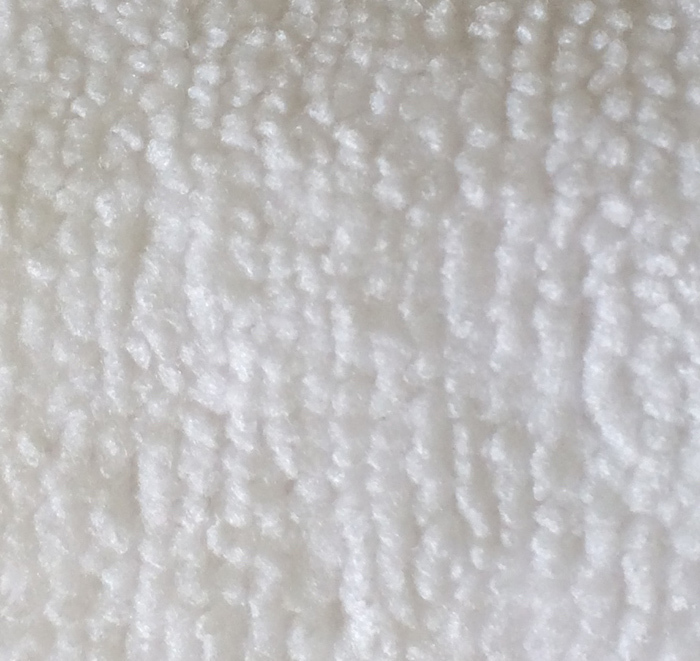 Our 3 ply insert is 50% more absorbent than our regular One-Size insert. These inserts are too big for our small diapers and for newborn babies but if baby is starting to soak through our regular inserts these are the Bomb! Microfiber inserts are trim and absorbent but these inserts should be used inside the pocket or with a stay dry liner on top. I love these because they are so squishy and they don’t get stiff like natural fibres can when they are line dried. Six small is perfect for our Small sized Duo’s. Mediums are perfect for the One-Size Duo’s and Large Sized Duo’s. 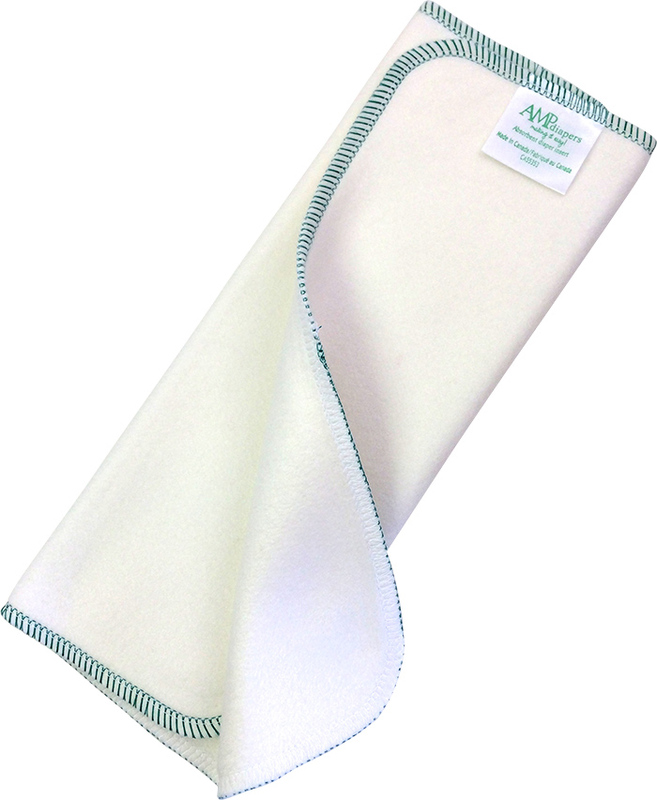 The Large Microfiber inserts fit great in our XL Duo’s. Tip! If baby has graduated from smalls to mediums you can use the smalls as a night-time booster if baby is a heavy wetter at night. 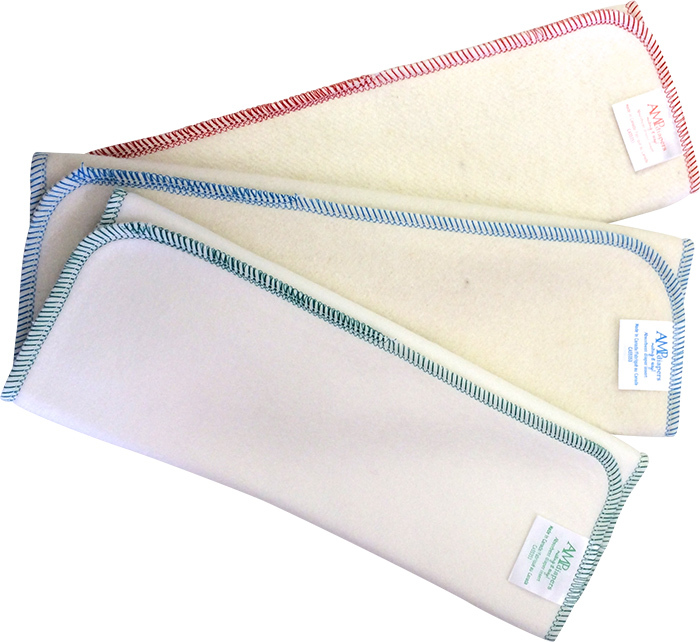 The Hemp and Bamboo boosters add absorbency without a lot of bulk. 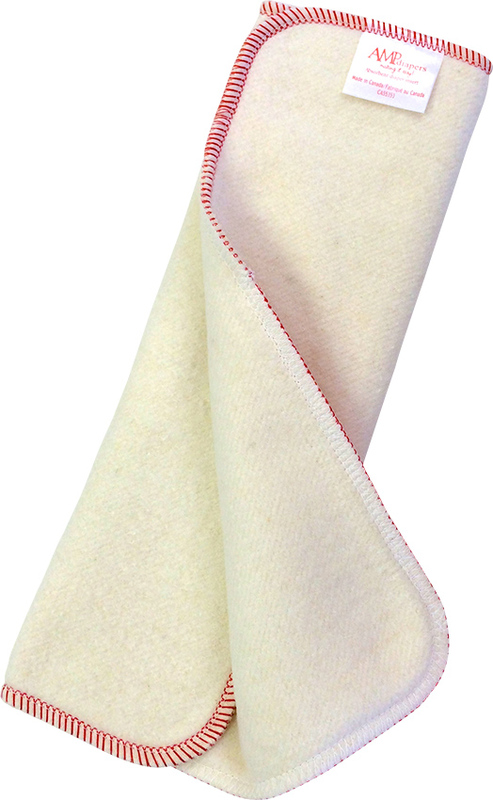 The three layer hemp booster (red trim) adds loads of absorbency and makes a wonderful newborn insert on its own and once baby needs more absorbency you can double up or switch to a regular One-Size insert (2 layer bamboo or hemp inserts).